A mother will be a mother. Always! She has the best interests of her child(ren) in mind, including their dietary needs – which should be healthy and safe. And Roopa Vaitla, wife of director Sreenu Vaitla, is no exception. 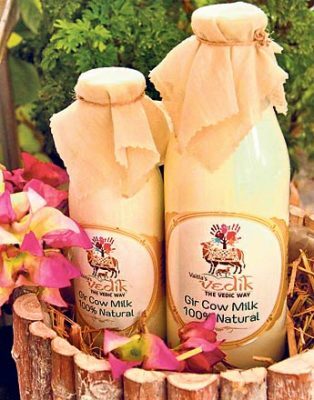 Roopa owns Vedik Way, a store which manufactures and sells organic products like milk, honey, dry fruits, turmeric powder and a lot more. Roopa has started this store around seven months ago, though the idea struck her almost three years ago. Asked how this idea came about, she says, “Since childhood, I’ve been a health-conscious person because that was how my parents brought me up. So, obviously I would want my kids also to be like that. The present sedentary lifestyle which both kids and adults are leading is something that really scares me. And I wanted to help others know the right way,” says the mother of three daughters. To take her idea to the next level, Roopa bought a good breed cow from Gujarat and starting taking care of it. To understand and learn more about how to take care of the cow, she took up a Vedic course and learnt a lot along the way. “You need to pamper the cow, offer puja and worship it. It is as sensitive and stubborn as us. Soft and loveable just like kids. I learnt a lot about the lifestyle we need to lead and the eating habits we have to follow. Immediately, I started implementing all those things at home,” she says. The quantity of milk which the first cow gave was more than what the family needed. So, she started sending the milk to her friends, relatives and others. People started liking that milk and soon, the demand increased but supply was limited. Then, she made another trip to Gujarat and bought a few more cows. A few cows were ready to deliver when they came to Hyderabad. Right now, they have around 40 cows in the goshala at Shankarpalli. “We give only organic and healthy food to the cows. Once in a while, a veterinary doctor comes and a regular check-up for the cows is done. Cows are my family now. When I go to see them, they try to cuddle up with me. Even my kids love to keep going there now. So, basically, we are now supplying milk to all those who want it,” says Roopa. After her marriage to Sreenu Vaitla, Roopa, who studied engineering, started taking care of his film-related work. She was the costume designer for many of his directorials. But, nowadays, she is pretty busy with the Vedik Way, where she is trying to help people lead a better and healthy lifestyle. Other products like cranberries, cinnamon-flavoured honey, regular honey, and turmeric powder, which are organic and pure, are available at their store. 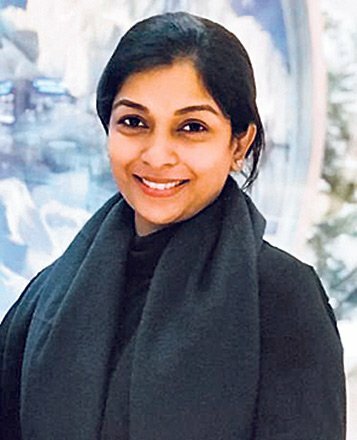 Asked whether she has plans of introducing any other products, Roopa says, “I don’t choose any product for the store unless I go, check and observe the way they are manufacturing it. I don’t want to treat this like business. I am doing my part to contribute to the society. So, I want everything to be crystal clear when I choose the material and products,” concludes Roopa, thanking people who showed faith and stood by her, especially her husband and daughters for their unflinching support. Pilates Physical games: Is this Bollywood’s New Preferred Exercise?